The semester’s directive was to design a multi-use tower in Boston’s Innovation District. 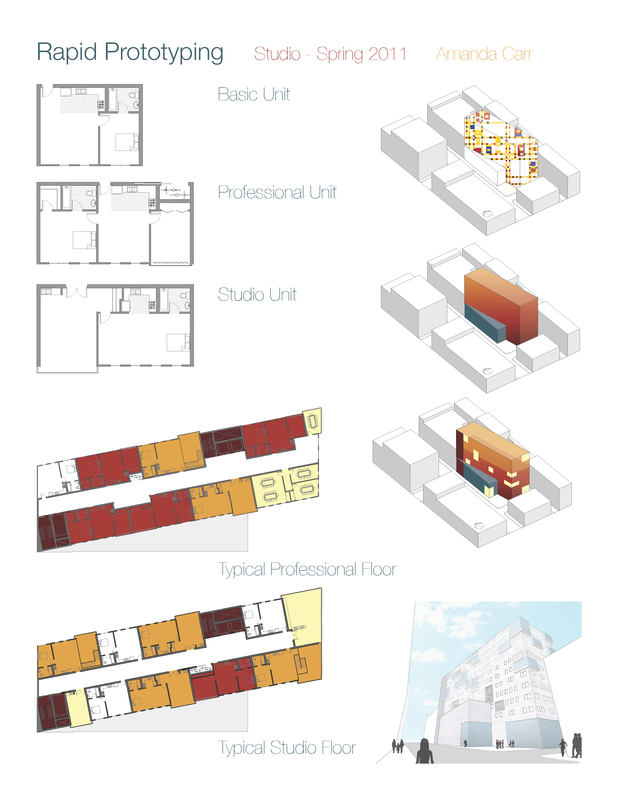 The tower catered to both business and studio professionals through the use of community office and gallery spaces along with specific unit types for these users as well. Early Prototype featuring shared community spaces in pale yellow.